Sam: How’ya doin’ Norm? Whaddaya know? Coach: What’ll it be Norm? Norm: Fame, Fortune, Fast Women? This became a second home–a place to stop by everyday to catch up with the same crowd. Frasier and Norm always had their favourite places at the bar; Sam and Coach knew instinctively what their regulars preferred to drink. The customer stories were their stories. Cheers became a place of comfort. I don’t think anybody every really talked about the food… because that’s not why people stopped by. If anything, it was familiar…. it was comfortable. A few weeks ago, I wrote a post about United Bakers of Toronto, praising the 101-year-old restaurant’s ability to be true to its customers and take care of them, always exceeding their expectations and going out of their way to satisfying the customer and making them feel at ease. When national brands swallowed up the Mom & Pop stores and redirected customers to the new way of shopping, service was less personal but it was compensated through increased selection and abundant inventory. However, over time where abundance made it more difficult for customers to choose or find products, service has become paramount. 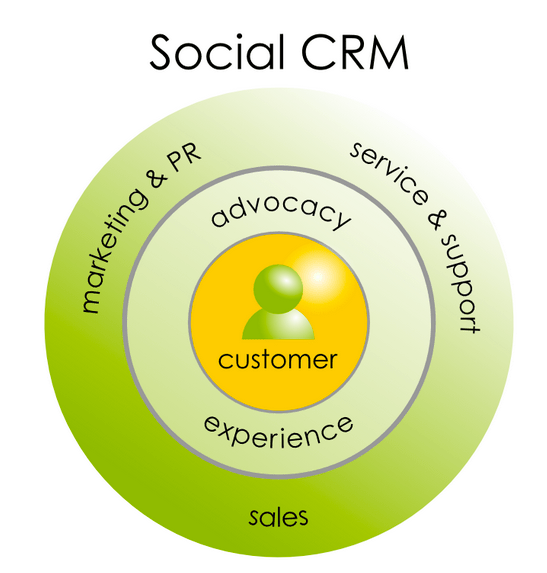 I think CRM is of paramount importance in today’s marketing and business world. While traditional broad marketing with billboards, print ads, television commercials and the like aren’t going anywhere soon, no one can argue that these formats are of the past and the future, more effective way of managing, selling and interacting with customers begins by knowing more about them. With the rise of social platforms we have this unbelievable opportunity to hear exactly what consumers want, what they need and the key becomes managing that deluge of personal information and making it accessible and actionable. Companies have ignored the statistically insignificant. These days, that same customer has the ability to bring down Goliath. I always come back to United Breaks Guitars incident. The truth is that we’ve now come full circle and these days in order to get a customer and keep them you have to go beyond just meeting their expectations. The wealth of data on customer desires being generated by this strategy is helping organizations work more effectively, and achieve better results. Social customer management doubles the percentage of sales leads that result in actual sales, relative to traditional CRM approaches. Kerry notes that in early conception, the technology was a method that aggregated all of the publicly available personal data that existed across a wide variety of social platforms and presented this information back to the business in real time. The goal: Improve Customer Experience. When you add in our ability to track more and more location data through both in-store devices ( wifi and iBeacons ) and mobile handsets, we’re seeing a level of consumer detail unimaginable just a few years ago. A customer tweeted that the steak she received was cold. The staff noticed the tweet and immediately rectified the situation, acknowledging the complaint, happily replacing the meal with a warmer one and giving the customer complimentary wine in the process. Needless to say, the customer, quite embarrassed at the time, was pleasantly surprised and could not stop talking about that restaurant in the coming days. What we found though was that in building a system that watched over and collected data from a number of the major social platforms, we were in fact creating these very detailed customer profiles on individuals. We saw where they went, with whom they interacted, how they spoke. From there it was very easy to envision numerous use cases in providing that learning back to enterprise customers. If we’re reverting to small town rules again, then technology has to provide the ability to bring those perceived “statistically insignificant” to the forefront. Many companies are beginning to recognize this. Chains have grown and thrived because consumers have valued their promise of reliability and familiarity….But independent stores enjoy some important advantages. Now that a baseline of quality at most establishments has been set, value is derived less from consistency and dependability and more from other factors like convenience and local appeal. The infiltration of technology into every part of our lives has made many people seek out personal, low-tech/high-touch experiences and relationships with the companies they patronize. At the same time, connective consumer technologies, sophisticated customer profiling, and targeted predictive modeling have made it easier and less expensive for companies to advertise and connect with customers locally. Independent stores have capitalized on all of these changes. For Kerry and his team at Norm, reception to this concept of hyperlocalization is enormous. We’re still in the early years of social, mobile and location data becoming so intertwined and every single company we’ve met with is struggling to make sense of the volume of feedback / interactions / issues being raised in this space. Businesses are recognizing the opportunity in having this direct line to consumers, but they’re not sure how best to structure their messaging, how to monitor and measure the response or how to monetize these connections. Perhaps we will not replicate the environment like Cheers but we have the ability to come awfully close! Corporations are starting to recognize that paying attention to customer comments, interests and preferences–once deemed “irrelevant” by brands– becomes the competitive differentiator that yields more sustained customer relationships, and creates a much stronger company in the process. 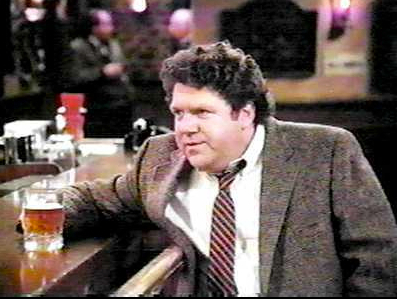 I think that Norm’s – or any initiative’s – success in replicating the environment of Cheers will depend more on how well it is able to help “hypersensitize” a marketer to it’s customer’s real needs and concerns rather than simply doing a better job of targeting sales messages, however apt, via ever-greater hyperlocalization, It is, I suppose the difference between becoming better at eavesdropping at a bar – which is what an opportunistic stranger does – and closely listening in the mode of a concerned friend. creativeoncall You’re absolutely right and hypersensitivity is what local is all about: listening and understanding “individual” experiences and opinions. It’s less about targeting sales message but understanding the context of discussion with people who engage with your brand. 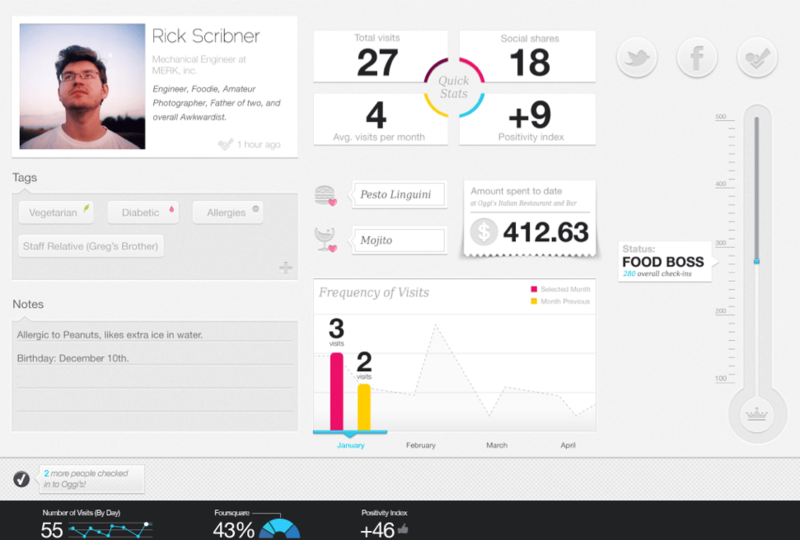 The ability to scale social is by having apps like Norm to present this data to you. YES, you have the aggregated view of all your customers who engage with you but how you treat them is on a one-to-one level. It’s less about the technology and more about how an organization structures itself to be able to do this. It’s all about caring and scaling “the ability” to care. You can’t have technology without the intent to use it properly. Changes need to be made to infrastructures to manage caring as a stronger priority. Having a great conversation with @JewelFryer over on FB about Privacy and the fear of overusing technology and becoming less human. AmyMccTobin That’s right Amy! Attention must be paid and companies that adopt technology must realize they need to change how they need to think differently about the end customer. hessiej creativeoncall I’m sorry is my comments on Facebook made it seem as if I’m against this technology. I’m not against it. I’m just against the overuse of it. I do community management for a number of small local business’s. It has taken the time to get to know each one, and I do use tools. What I have learned, and what I strive to bring to each one is the human touch. I was only trying to make a point that we need to stress that it’s a tool and not a system to rely on to replace what a machine can’t do. I can see from the discussion here that we already know that, but I see many more marketers that seem to be turning into tools themselves. They see the world through a marketing bubble, and they’ve forgotten what it feels like to be on the receiving end. We are all weary of privacy, scams and hacks for a reason. We don’t like feeling like we’ve been spied on or watched. The tool we need is one that puts us in the consumer’s shoes. Yes, I like when Amazon knows what books I like to read, but will I like it if they suggest something based on what I had for dinner at a restaurant last night, or what I said to a friend in a semi-private conversation on Facebook? Too kind Hessie, too kind. As we’ve talked about so many times the key for us with Norm is providing value first and foremost to the consumer and we truly believe that Norm and other similar platform will empower the individual like never before. When we make the individual special, when we tailor experiences to a single person, when we can create that VIP experience without the traditional investment of time and money…we think we and our initial client partners will be on to something special. Look forward to what other folks have to say about where we’re headed. If anyone has any questions or wants any further information..i’m @kmore on twitter. jewelfry hessiej creativeoncall I like your point about “marketers turning into tools themselves”. Totally agree. I was and continue to be a marketer but I’ve learned so much in the last decade about how marketing has to change, become more accessible and nurture and engage as opposed to jus sell and promote. kmore Thanks Kerry! I too am a believer that technology will help individuals — it won’t replace them. Let humans do the work, let the technology empower the individual!